Most women are eager to regain their figures after giving birth and breastfeeding may help achieve this. Although in the first 6 weeks after baby is born you will want to give your body some time to recuperate and to establish a good milk supply, there is no reason you cannot follow a healthy eating plan to help you shed the extra kgs. Bear in mind that you should only start a weight loss plan when you feel ready. If you are sleep deprived, have little support or have a particularly demanding baby, weight loss should not be a priority however it is always recommended that you make healthy food choices even when not trying to lose weight. As soon as low carb eating is advocated in any situation you can be sure that detractors will jump into the conversation with all sorts of nonsensical reasons that this may be ill advised. So let’s take a look at some facts about what Banting actually is and the facts about nutritional requirements for breast feeding moms. One of the most common myths is that banters cut OUT carbohydrates. This is untrue. Although Banting has become synonymous with very low carbohydrate diets, Prof Tim Noakes writes in The Real Meal Revolution ( Pg 30) “The key is to discover the grams of carbohydrate per day that optimises one’s health and performance and this will generally lie between 25g and 200g per day, the lower values for those with the most extreme IR.” Banting is not nor ever has been a NO carb diet. We find plenty of good carbohydrates in whole vegetable. Another negative comment is “high protein diets are dangerous” but this is not a high protein diet , it’s a moderate protein diet and protein just happens to be a very essential nutrient for breast feeding moms.Protein needs are significantly higher for breastfeeding women; the protein RDA is 46 grams for non-pregnant, non-nursing women and 71 grams per day during pregnancy and lactation. A breastfeeding mother secretes 6 to 11 grams of protein in her milk every day, and growing babies need that protein, which is the body’s basic building material.. Consuming plenty of protein-rich foods to balance your carb intake is an excellent way to help you achieve or maintain a healthy weight. Then of course we get the ” eating so much fat will make you fat and clog your arteries.” We know by now that healthy fat won’t clog your arteries and we don’t eat that much of it anyway. Check out our article on fat intake Here .That aside lactating women do need healthy dietary fat. 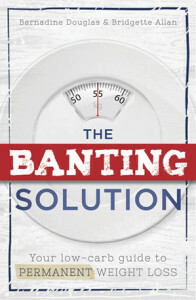 Banting is primarily about cutting out the foods that make you fat and sick. This includes all sugar , processed food and refined carbohydrate. These foods are not healthy for anybody and there is certainly no reason a breastfeeding mom should be eating them. Banting is about eating good quality protein which includes meat , fish, organ meats and eggs. The “diet” recommends generous amounts of a variety of whole fresh vegetable and foods rich in healthy fats i.e nuts , avos , olives , full fat dairy products and healthy oils like olive oil , coconut oil and ghee. If you look through the recommended food lists you will see that the food banters eat will more than adequately fill the nutritional requirements of a breast feeding mother. It is important to know that your energy requirements will be higher while you breastfeed and cutting food to a minimum in an attempt to lose weight will result in you feeling weak, tired and drained and will lower your milk supply. Banting is not about deprivation ! Why is eating correctly so important ? Make up your meals from foods that you find on the GREEN LIST . Breast feeding moms can also choose foods in moderation from the ORANGE LIST however if you are very overweight , you may want to limit these. ← How much food should I eat ?